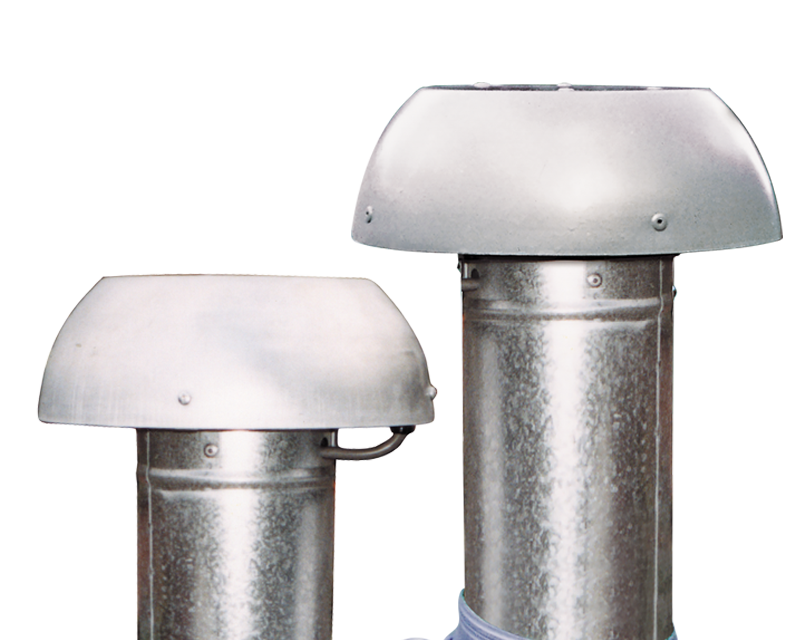 Available in metal/deck and tile roof versions, the Ezifit Thru Roof exhaust and supply air fans are easy to install and provide powerful air flow with low noise output. A relief vent version (ie. without the fan) is also available. 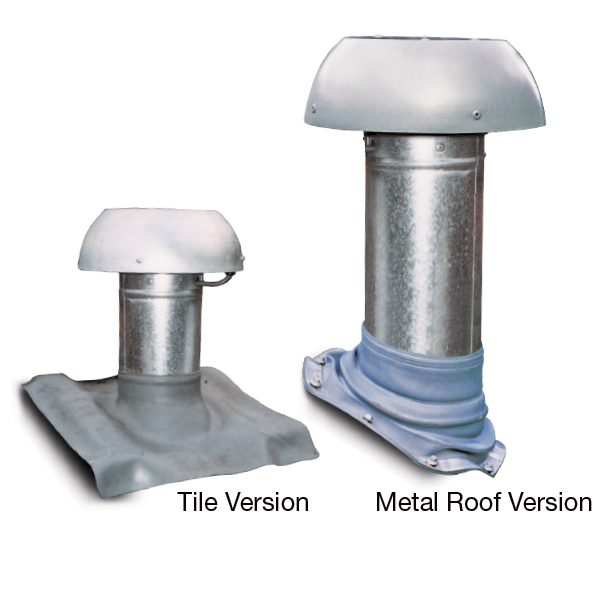 Suits all types of tile or metal roof profiles. 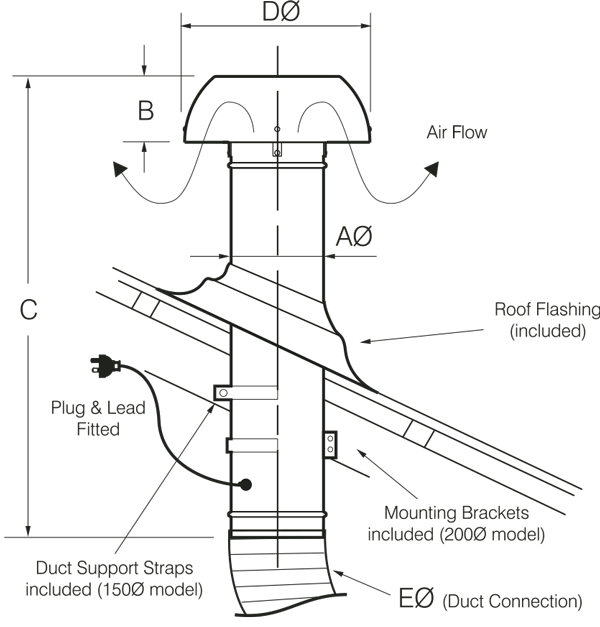 Roof flashing included (excludes bush fire code compliance models). Comes with convenient 3-pin plug and lead. 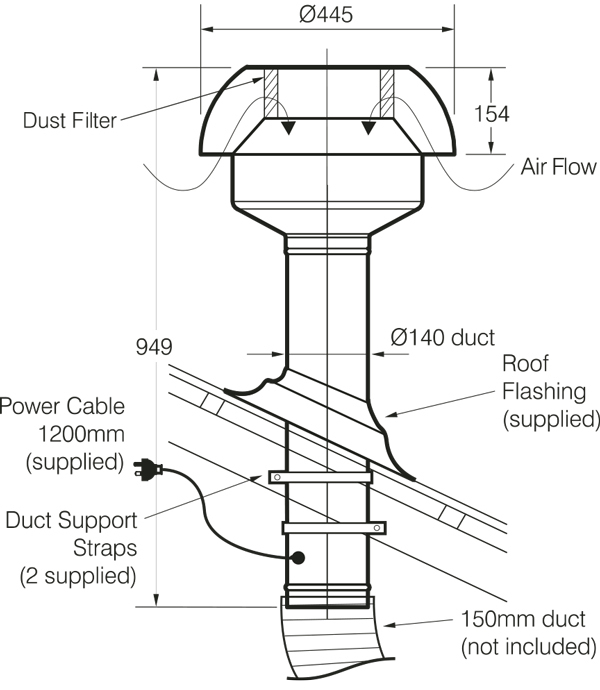 Suitable for connection to long duct runs. 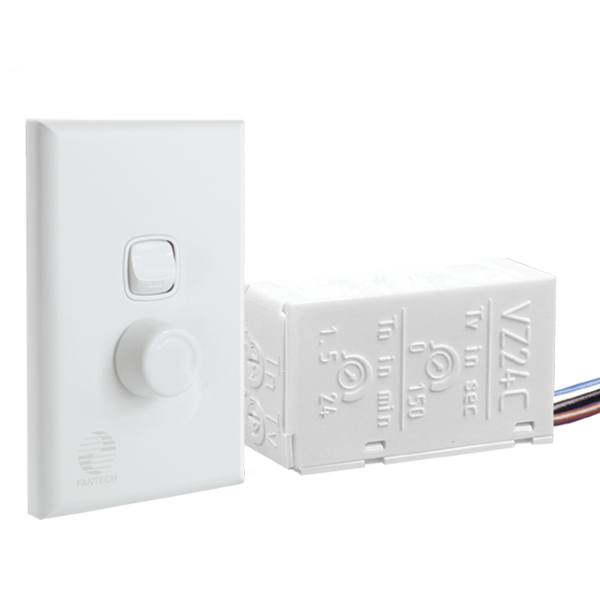 Good installation will provide quiet operation. 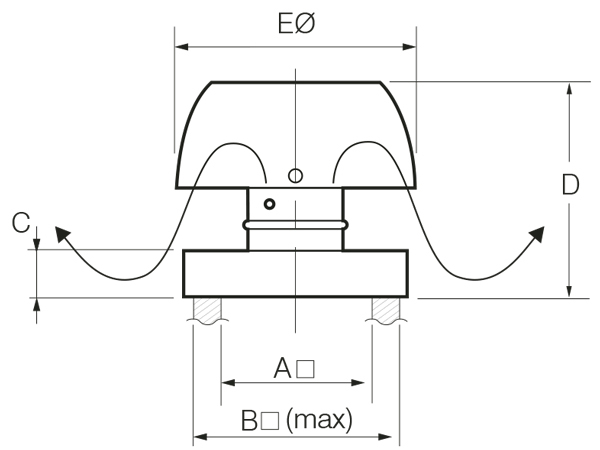 “Continuous rated” motor with safety thermal protection. Galvanised metal finish – easy to paint. Custom colour available as an optional extra. 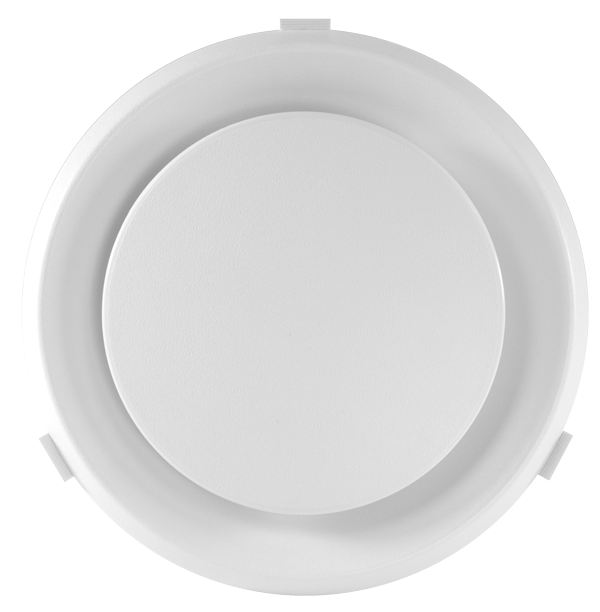 Ezifit Relief Vent ideal for 150mm and 200mm duct mounted fan systems. 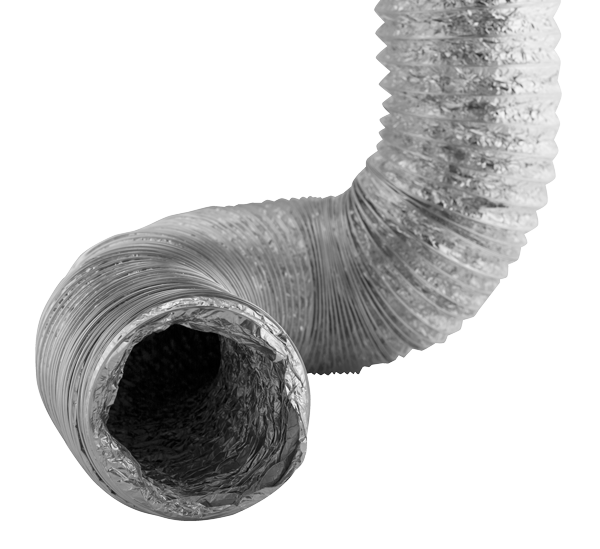 Provides filtered air to internal spaces. 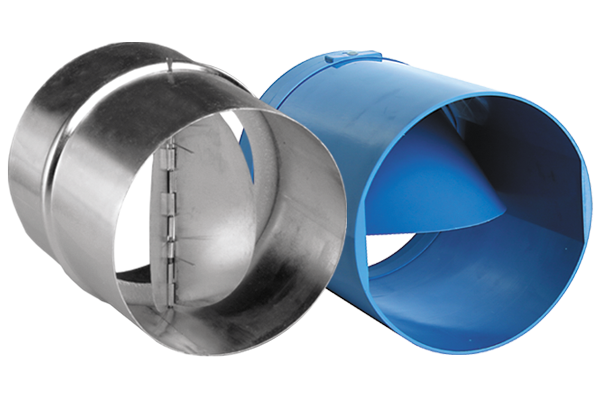 Designed to provide powerful air flow through 150mm duct to one or more points. 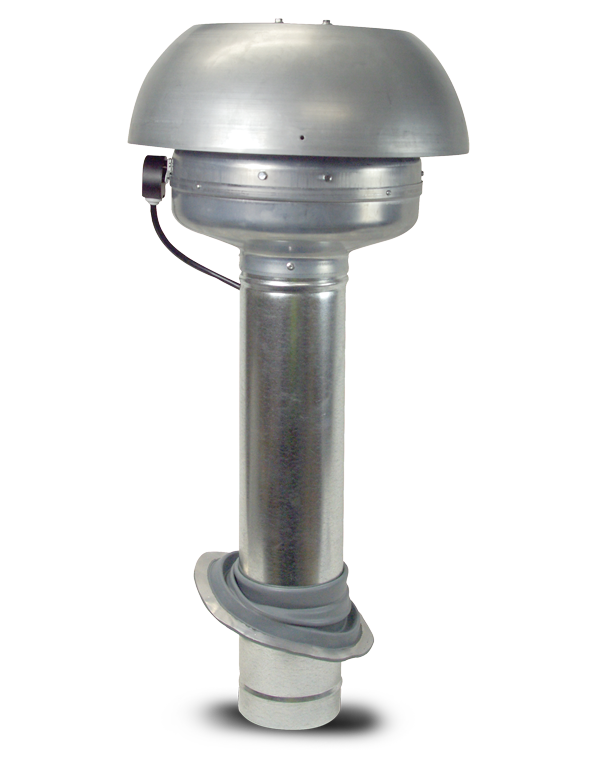 Fitted with a G2 dust filter that can be cleaned or replaced. 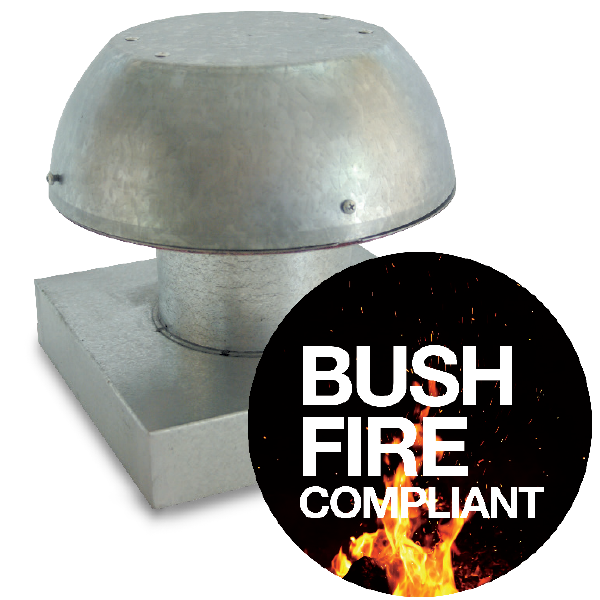 Developed and tested for ducted applications in bushfire prone regions. High quality bronze mesh provides ember protection.